We've certainly come a long way since the glory-days of the SNES and Sega Genesis, but not many current day gamers can say they haven't played the classic NBA Jam from EA. Check out the montage below, let it just play to your nostalgic senses. Okay, now that that's out of the way, you are probably salivating over wanting to dust off your old machines and pop this baby in. What, you don't have this game/your SNES is broken/your Genesis was stolen by your little brother? Whatever your excuse, you won't have to wait much longer to, as EA has finally announced a long-due remake of the classic franchise for the Wii in 2010, (EA, please don't neglect the Xbox and PS3). The new game will feature old-school gameplay, similar sounds from the original mixed with the new features and graphics only time and technology could improve. There will be the classic NBA JAM experience, but they're adding in new features as well, new game modes to add depth to the title. 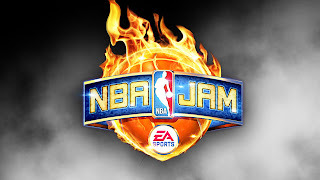 Be sure to come back for more updates as they're released, and as always check out the official site here, where you can go on and vote for your favorite players from your favorite teams to be added in NBA JAM. Check it out! That's what you call old-school game plays! :) I think I've played that game more than 15 years ago, it's good to know that EA is recreating it. I just hope it'll not disappoint.